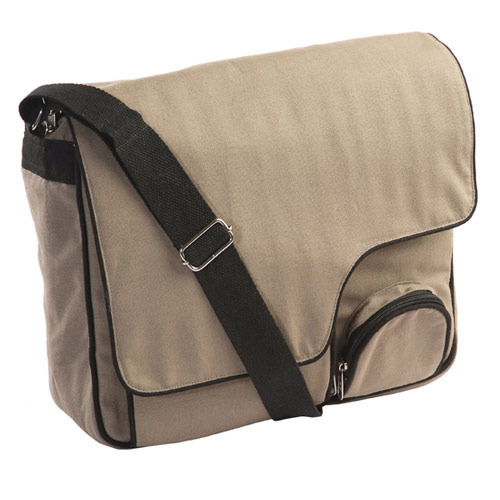 We are among the leading manufacturers, suppliers, wholesalers, and exporters of Canvas Laptop Bag. Deep beige in color, these laptop bags are characterized by a simple and elegant design. Our team has designed these bags with the objective of providing maximum utility and storage space. Multiple front pockets of varying sizes have been provided for that purpose. Their inside surface is waterproof and protects the stored laptops from damage. These bags have been competitively priced.